Disclaimer: I received a free review copy of the book from No Starch Press. While there are many books that feature amazing works of art using LEGO as a medium, few delve into the techniques and thought processes used by the builders. 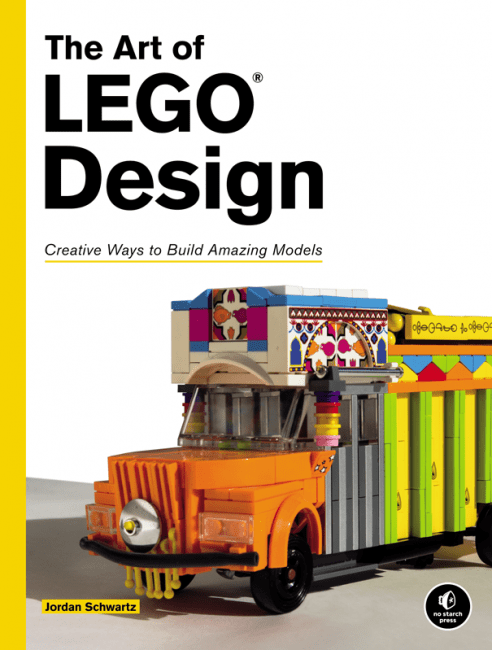 Jordan Schwartz’s “The Art of LEGO Design” tackles this subject in a remarkably successful way. Mr. Schwartz’s background as a designer employed by LEGO make him an authority on the subject. His work has been featured in some of the books I alluded to, including Beautiful LEGO. p. 25 (Minifigure chapter): by using a Technic ball rather than a minifigure’s head under a helmet, the head can be posed at many more angles than would otherwise be possible. p. 249 (Science fiction chapter): in “The Paradise Syndrome“, the designer Keith Goldman uses minifigure hands stuck through the holes in the plant pieces to form yellow flowers. It’s a beautiful technique and one I never would have thought of. Another valuable section in the book is that of composition. LEGO is an interesting medium in which to work because of its dual nature. On the one hand it is a physical medium, having depth, volume, and weight. On the other hand, it is primarily presented to the audience through photography. As such you can use the tricks of photography and cinematography to create stunning scenes that wouldn’t actually work or hold up if viewed in person. There are two striking examples of this in this chapter. The first is the use of perspective in “This Town Ain’t Big Enough for the Two of Us“, by Tyler Clites. The scene is built at different scales to suggest an enormous sense of depth. In the image we are looking through the legs of one figure and see a confident man ready to duel. The legs through which we view the scene are built at a large scale. The figure is a standard minifigure. A few studs behind him is a house that is rendered only three studs wide, suggesting instead that it is many hundreds of feet away. In the far distance are objects made of just a few pieces, showing mountains and other landmarks. It is a brilliant composition, and Mr. Schwartz’s analysis of the scene goes into more depth on things that aspiring builder should learn from it. I’ve since found that there are groups on Flickr devoted to this technique, such as “LEGO Forced Perspective“. The second example is David and Goliath by Nick Vás, which positions the Goliath character closer to the camera in order to make him appear enormous compared to David. This technique was used in the original Lord of the Rings trilogy to make the hobbits appear tiny in some scenes; see TXFilmProfessor’s video for more details. The “Art of LEGO Design” has some great practical advice for those looking to model creatures that exist in the real world – don’t start with the head or you’ll end up making the model far too large for minifigure scale. Conversely, for fantastical creatures that could exist at any scale like dragons, he recommends starting with the head before moving on to the rest of the body. He also shows clever ways of blending fabric elements from various LEGO sets in with the plastic bricks to create intriguing textures and styles. For instance, the model of Maleficent (p.147) uses capes to form the sides of the dragon’s mouth, and some sort of fabric for the wings. It’s a technique I would not have considered before reading this book. The book covers some topics which I haven’t seen addressed before, namely how to create realistic (or fantastical) trees and foliage. He shows how one can interlock the prefabricated leaf pieces to form much lusher and more realistic trees, and how to use non-traditional pieces like Technic connectors and levers to form realistic trunks and branches. I found this book a pleasure to read. The prose is well written, and the illustrations are of high quality and well chosen. The topics follow a logical progression from conception through implementation to photography and publicity. The interviews with various master builders are insightful and informative. If you are a fan of LEGO and aspire to improve your building skills, I cannot recommend this book highly enough. I’ve started two new blogs to highlight two particular issues that irk me. I want to keep this blog focused on longer form content and analysis, which is why I opted for these two tumblr sites for the more image heavy content. 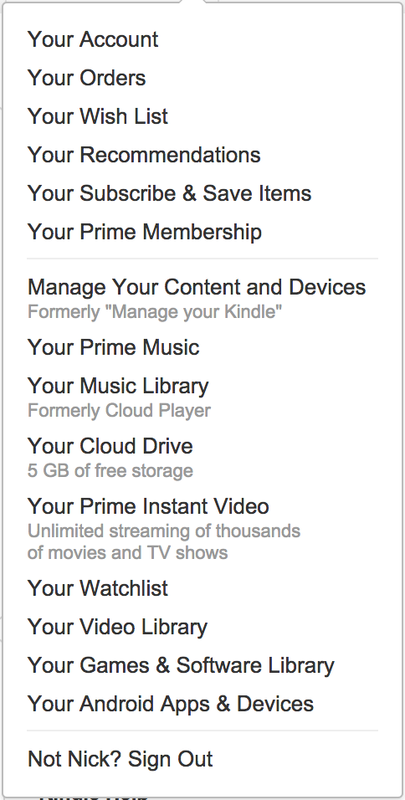 If there is a particular point that is relevant to this blog, particularly as it relates to user interfaces, I very well might post it to both, with the long text appearing here. The main problem with this visualization is that doubling the value doubles the height AND width of the bone, making it look like a four-fold increase. Moral of the story? Use fixed width bars and only vary the height. Sorry USA Today et al who create these garbage charts.